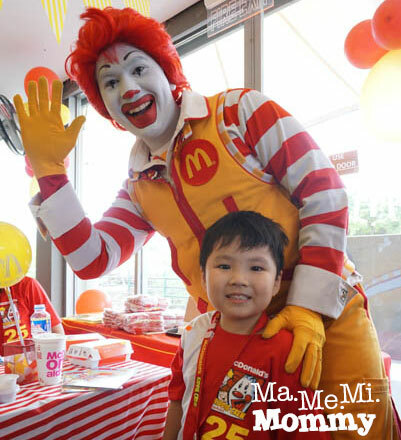 My son and I were both excited to be a part of the McDonald’s Kiddie Crew Media Launch held last April 1, 2017 at the McDonald’s branch in Frontera Verde. 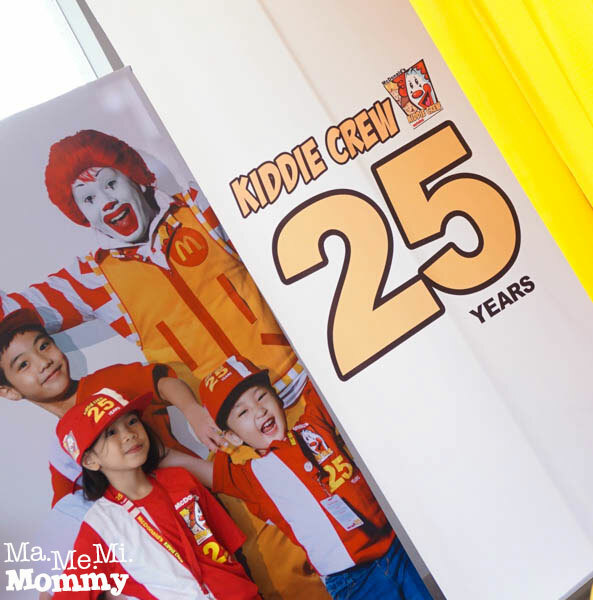 Can you believe that Kiddie Crew is 25 years already?? I’ve actually let DA try his stint as a kiddie crew 2 years ago. Read about it here, here, here, and here. He was still so young then, he couldn’t even reach the counter! We’re so excited thus, to learn what’s new with the kiddie crew workshop this 2017. 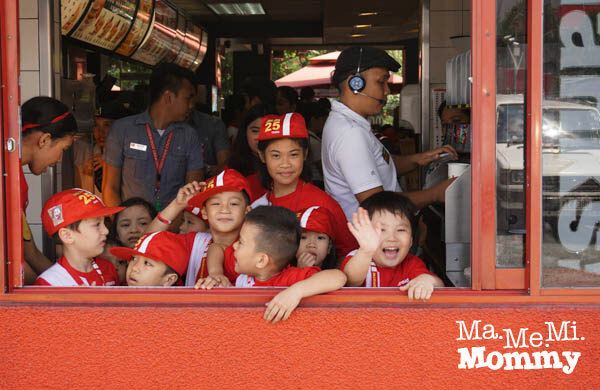 The registration fee is now P650 inclusive of these Kiddie Crew items and meals. 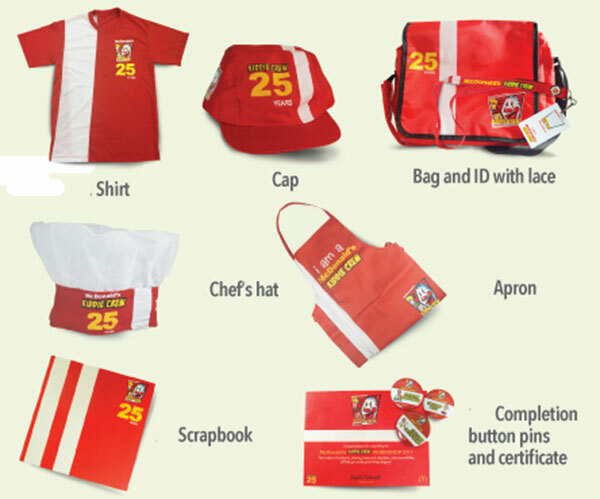 The 25 years is also the prominent thing in this year’s design. I love that there’s a scrapbook now where we can put photos and write our stories to preserve such a memorable experience. 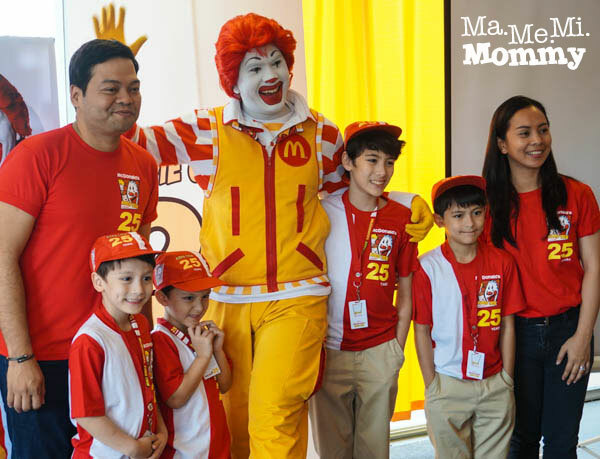 This year also introduces the Sotto brothers as McDo Kiddie Crew’s brand ambassadors. 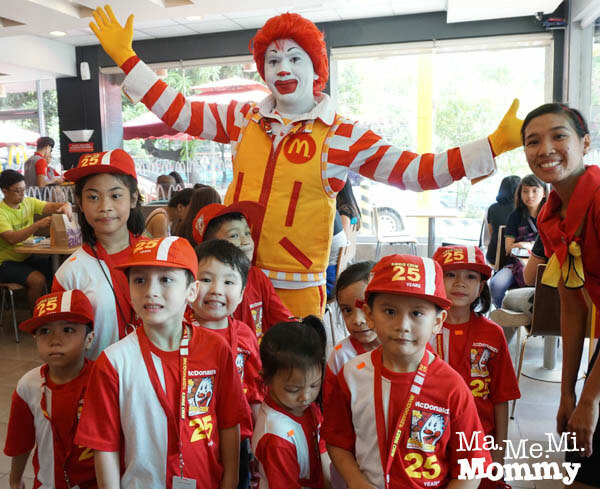 Fans can now follow the exciting journey of Hugo, Edrigu, Sandro, and Rossano as Kiddie Crew ambassadors through mommy Joy’s account (@joywsotto) on Instagram. 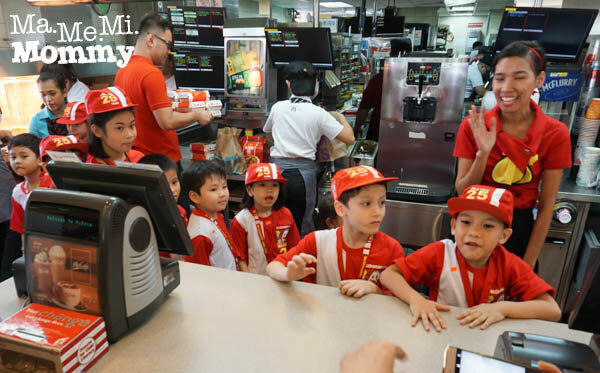 As before, there is the usual front counter training where the kiddie crew team gets behind the counter to greet customers and help with their orders. The kids were also allowed to roam around the lobby greeting customers. 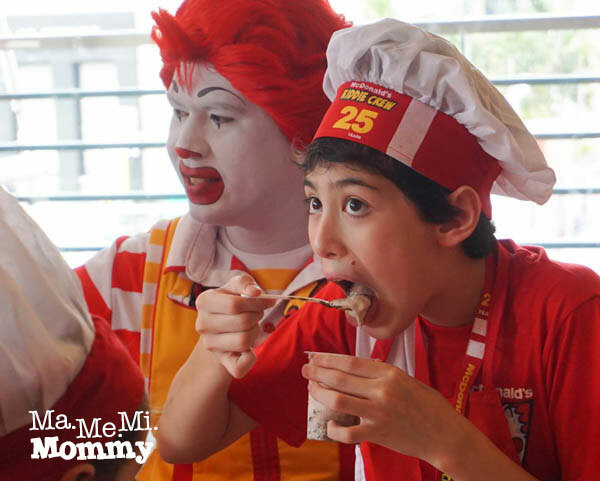 They even gave balloons to kiddie diners! 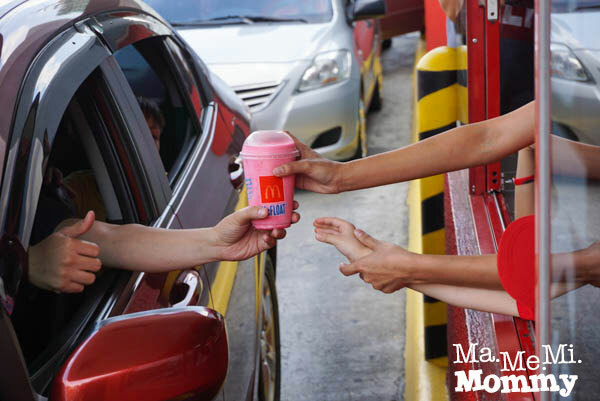 This is the super fun part where they got to greet on-the-go customers. The customers were equally delighted to be served by such young crew. They made small conversation with the kids, giving them high-fives and words of encouragement. 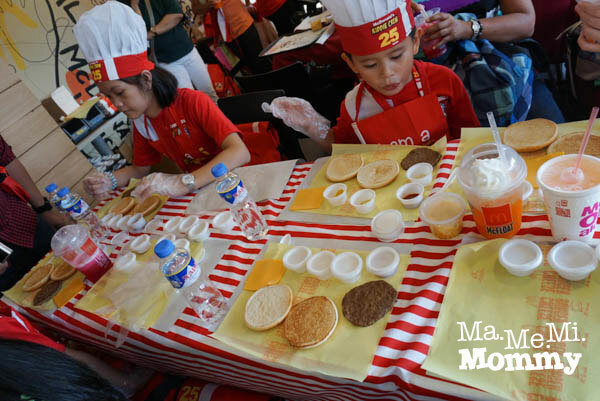 As before, there is the make your own cheeseburger activity, DA’s favorite part! LOL! Make your own dessert! 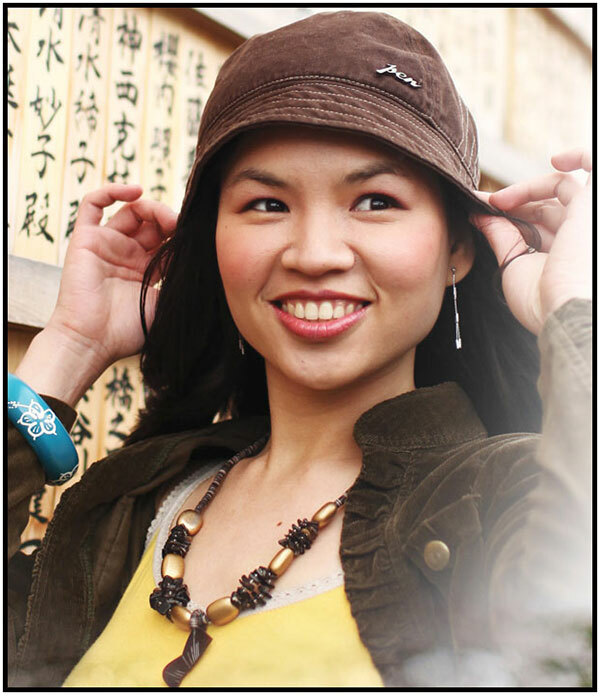 I don’t remember this from before so this must be new. This is such a hit among the kids! 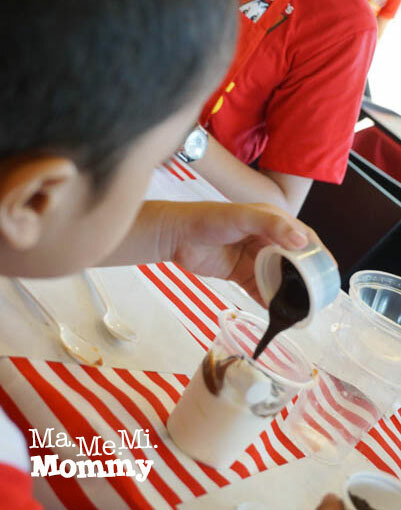 Who can resist the ever yummy sundae? Sounds fun, huh? 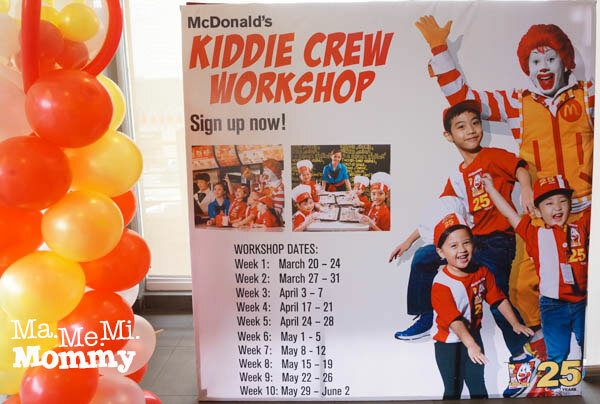 We’ll be joining again this year and if you’re interested, here’s the list of Kiddie Crew Workshop dates for you to choose from. Hurry, sign up now and let your child have loads of fun this summer! Here’s an infographic for more information about this exciting workshop!